I have to confess. I have a love / hate relationship with events. They are stressful and so labour intensive. But the thing is, events are such a valuable opportunity for One Roof to bring our community together and to invite new people to our space. I am constantly told it’s not until people walk through the One Roof doors do they truly understand what One Roof is all about. Its something people need to see and experience. Luckily for me we now have a dedicated team led by Maria Fernandez, our Events Superstar, who supports all our event hosts and ensures all events held at One Roof are stand out! And we have so many of them! Check out our online events calendar. And the funny thing is we are actually pretty good at running events. We know there are a lot of events to contend with and so we like to do things differently. We curate stand out events that encourage people to connect in unique and authentic ways. And we ensure guests leave our events with more than just a bit of inspiration. Let me guess you are planning on hosting an event with networking at the start, a panel, Q & A with the audience and networking at the end? It's been done a million times over! Think about engaging the audience right from the start. When we hosted the One Roof launch event in collaboration with Startup Victoria Female Founders we used our private offices as stalls where different entrepreneurs in our network could showcase their work. This made for really interesting and engaging conversation while networking. We also gave a few of our members the opportunity to share their story and their business in a minute. Again finding new ways to engage the audience and shake up the traditional panel discussion model. To curate a good event means to facilitate an experience. An event is not just about getting bums on seats and bringing in a speaker who will hopefully inspire the room. It requires a lot more work than that. When we hosted Ditch The Daily Grind and Leap into a Career you Love in collaboration with Bkindred and General Assembly we made sure it was highly curated and facilitated. This meant only 5 minutes of lightening talks from the panel and then the audience broke off into different rooms around One Roof where each panellist facilitated a discussion with less than 10 people. Our panellists moved rooms 3 times giving our guests the opportunity to hear from different people. We thought about how and why we placed every single of the 80 people who attended this event into certain rooms. It’s more work but that makes for a stand out event. It is likely you will always be competing with so many other events so you need to stand out with remarkable and memorable content and guest speakers. We like to do things totally different to the norm. This includes hosting f*ck up nights where entrepreneurs and start ups have the opportunity to share their most humiliating business f*ck ups. Our next one will be held on 11 April in collaboration with General Assembly. 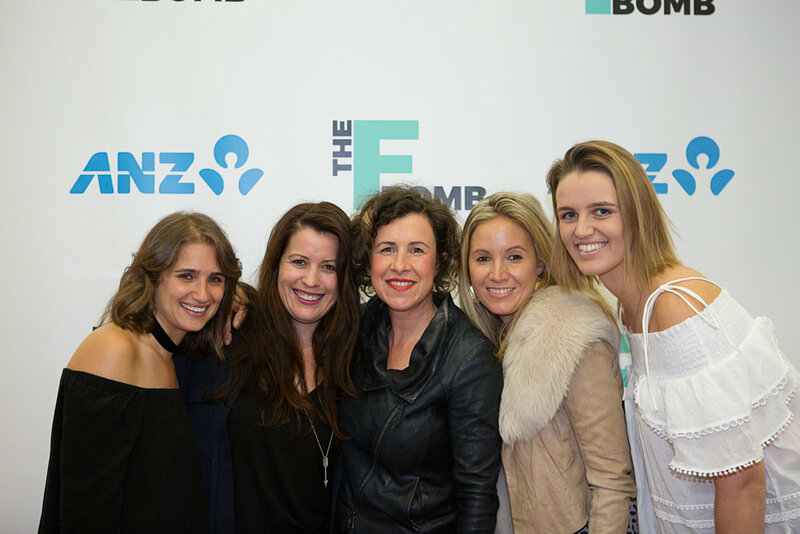 And we host live filming events of The F BOMB Show where we interview women in business to strip back the BS and have the conversations no-one else are having about what it really takes to run a business. You may have also sense that we love to collaborate. If you are interested in hosting a killer event with us then email Maria@oneroofwomen.com. If you want to attend our stand out events then sign up to our newsletter. Or if you want to host a memorable event in our beautiful and unique event space then complete this form.